When a top sporting tournament comes to town, it usually costs a pretty penny. 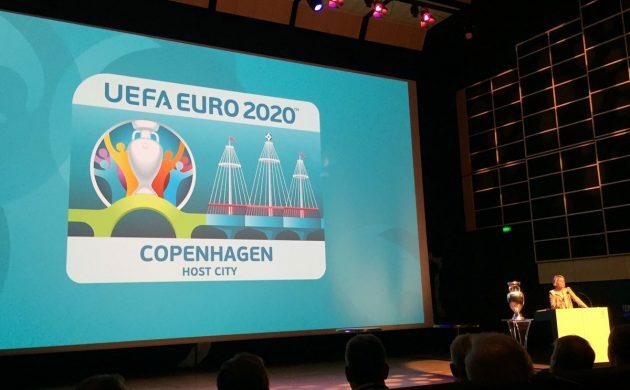 For Copenhagen, Euro 2020 won’t be any different. It was revealed during the presentation of the Danish capital as a host city yesterday that the city will be shelling out 15 million kroner as part of its role in hosting one of the 13 Euro 2020 venues across Europe. “It will cost extra to keep the city clean,” Frank Jensen, the mayor of Copenhagen, told Ekstra Bladet. Fortunately for Jensen and the Danish capital, by hosting three group stage games and a last-16 match in Telia Parken Stadium the city is expected to generate some 100 million kroner in revenue in hotels, restaurants and the like. One of the positive aspects of Copenhagen being a host city, is that nothing needs to be built. “Our infrastructure is sorted and we have an airport close by the city and the metro will be completed at that time with a station near Parken. It will be easy and affordable to get around town,” said Jensen. Now Denmark just needs to qualify – unlike usual European Championships, the 13 host nations don’t automatically qualify for 2020. The losses saw Denmark plummet to 50th on FIFA’s most recent world rankings, the nation’s worst position since the rankings were established in 1993. Denmark can start improving its lot by beating Kazakhstan on November 11 and get back on its 2018 World Cup track. 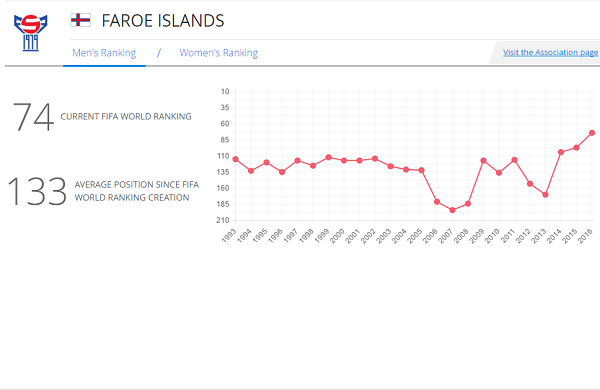 While it was a historic low FIFA ranking for Denmark, it was dizzying highs for the Faroe Islands, which leapt to a best-ever 74th place on the most recent rankings. The rocky island even surpassed Finland and Norway – which both followed in Denmark’s footsteps with a lowest ever rankings at 101 and 81, respectively. In fact, it’s been gloomy reading when looking at the Scandinavian nations. Denmark, Sweden, Finland and Norway have all been on a downward trajectory in the rankings in recent years. But the Faroe Islands, which was ranked 170th just three years ago, has rocketed up the rankings and has impressed in the 2018 qualifiers so far with four points from three games (a win away at Latvia and a draw at home to Hungary). That’s more points than Denmark has so far. “We’ve been improving over the last two years and I think we are getting better and better,” The island’s Danish coach, Lars Olsen, told FIFA.com.